These communities, located in the northwest corner of the territory, have great stories to tell of the past and of their unique way of life. Located between the Franklin and Mackenzie mountain ranges, they are accessible only by canoe or plane in the summer, and by winter roads when the ground freezes. 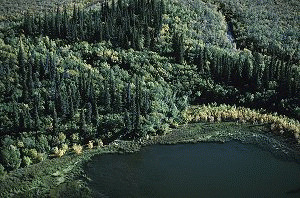 Their remote location makes this ideal fishing and hunting country in the Mackenzie Mountains. For a real taste of the north, book accommodations in the Mackenzie Valley! Tulita was built at the junction of the Mackenzie River and Great River. Only accessible by plane or canoe in the summer, and by winter road, this is the perfect spot for an isolated fishing experience. Check out this oil well town, which was a major source of oil for Alaskan troops during WW II.